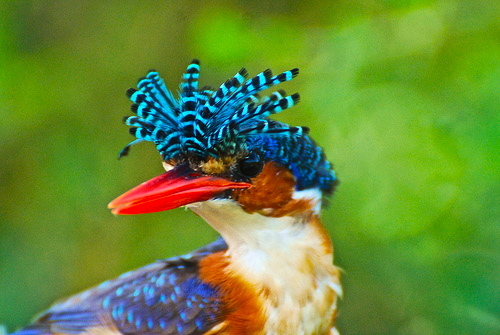 The Malachite Kingfisher, Alcedo cristata, presenting it’s elaborately striped crest feathers. Kingfishers belong to the three separate Families within Coraciiformes, and there are about 90 described species of kingfishers. Despite this seemingly insignificant diversity, kingfishers have quite variable appearances and can play important roles in their ecosystems. The malachite kingfisher (shown above), is one of my favourites because of its ornamental feather crest. These feathers often stand up when the bird is disturbed, and are unlikely to play a role in attracting a mate (because both genders have them). 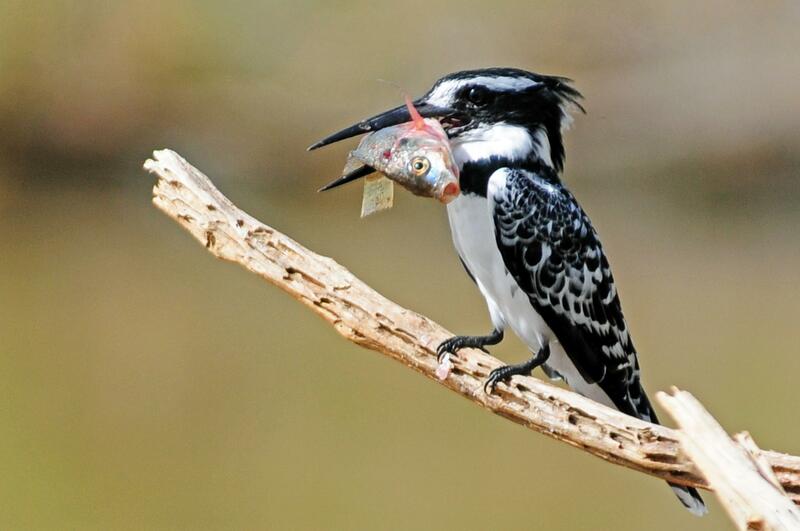 Africa’s Pied Kingfisher, Ceryle rudis, perched with its catch. 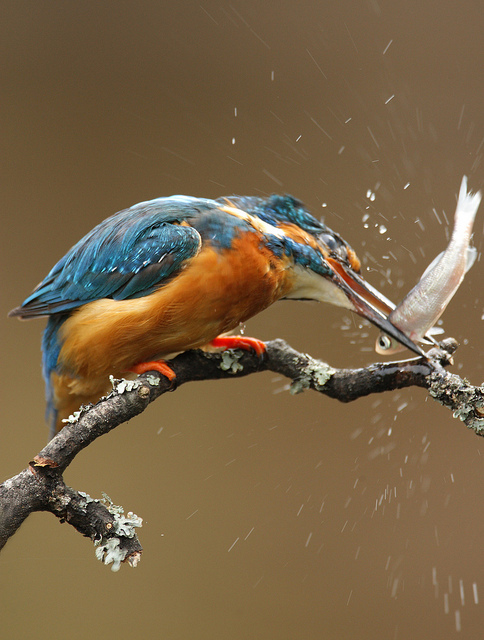 A Common Kingfisher, Alcedo atthis, slamming its prey against a branch in order to stun it. Although kingfishers usually predate upon fishes, their diet may also include insects, lizards, amphibians, crustaceans, and spiders! Nevertheless, when their prey is caught, and not possible to consume ‘on the wing’, they will bring it to a perch so that it can be properly handled. The first thing many kingfishers will do, is position the prey with it’s head facing outwards. Then, they will smack the prey item on a sturdy branch, in order to stun it! Then, once it has been incapacitated, they will reposition the prey item, and swallow it whole! 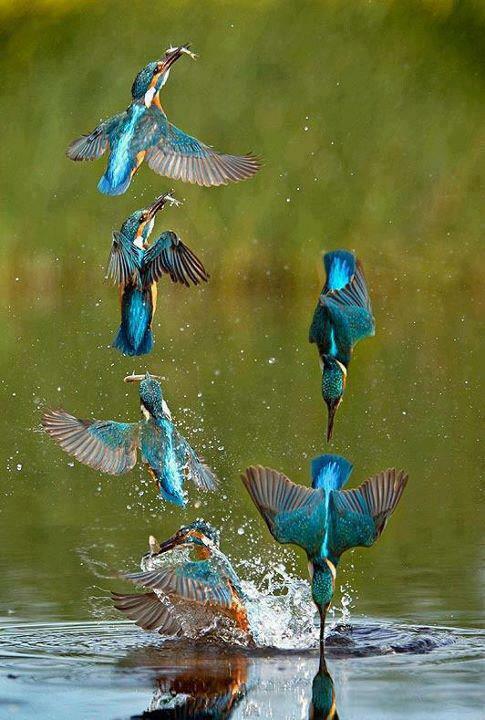 A chronological mosaic of a typical kingfisher dive. All in all, I hope you enjoyed this post. Apparently we have Belted Kingfishers here in Alberta, so if you know where to find them, let me know! 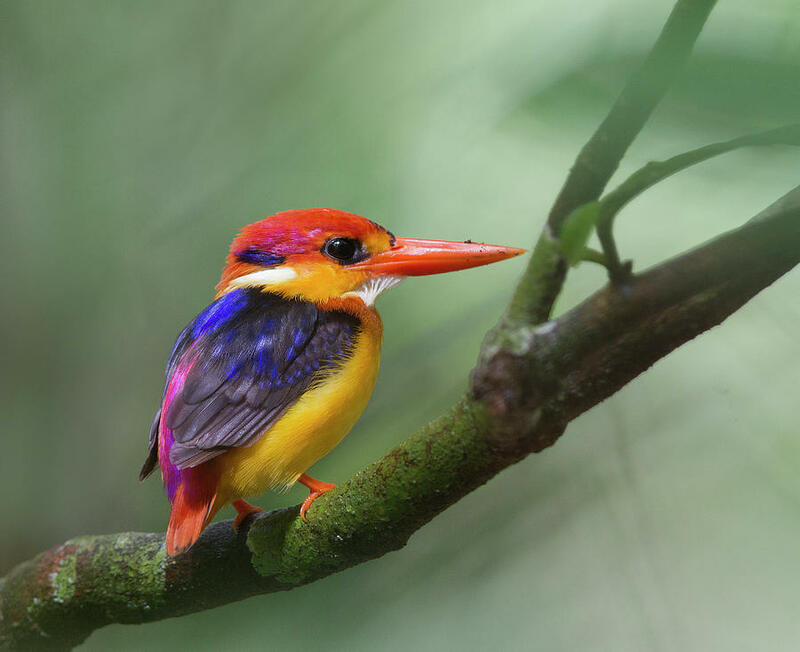 Oriental Dwarf Kingfisher, Ceyx erithaca, perched on a branch in Singapore. Kingfishers are my favorite bird. We have Belted Kingfishers here in Virginia (USA) that fish a territory of about a mile along a creek or river. 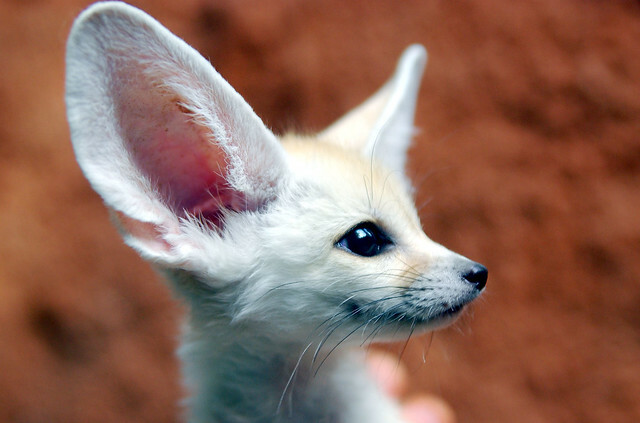 They are secretive and usually you don’t even know when one is around until you hear its harsh rattle call. I’ve heard they’re hard to spot, too! Have you had an opportunity to see them plunging for fish?